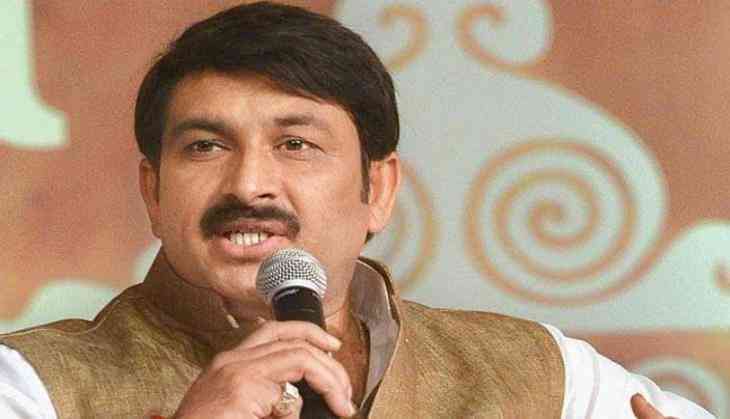 An FIR has been registered against Delhi Bharatiya Janata Party (BJP) Chief Manoj Tiwari on Tuesday for allegedly breaking the sealed lock of a house in Delhi's unauthorised colony in Gokalpur. "If sealing is done in an illegal way, we will oppose and protest against it. I challenge Arvind Kejriwal to visit the colonies and answer the public in Delhi. We will also file an FIR," said Delhi BJP Chief Manoj Tiwari on FIR registered against him. FIR was registered under Sections 188* of IPC and 461 & 465 DMC Act against Delhi BJP Chief Manoj Tiwari. On 16 September, Sunday, he broke the sealed lock of a house in an unauthorised colony in Delhi's Gukulpur protesting against municipal officials 'pick & choose' system. A video clip of Manoj Tiwari, showing him breaking the lock of a sealed house in Gokalpur area of the national capital has been surfaced on social media. After which the incident erupted controversy. “Congress then and Arvind Kejriwal now misled people in the name of converting unauthorised into authorised. A house, in the unauthorised colony, had been sealed. If there are 1000 houses there why was only one sealed? I oppose this pick and choose a system,” ANI quoted Tiwari, as saying on Sunday. "There are many people who have wrongfully occupied a huge amount of government lands and constructed buildings on it. But no one is saying anything to them. Why only poor people are being targeted?" questioned BJP leader.